It is not "now". I have been saying this pretty much since my first post in this discussion. A fitter player will always do more than a player out of training for 3 weeks in a game that needs loads of energy and work whatever that fitter player is shite. That's why I said from the very first post Scott should have kept his position in this game. It's not mission impossible, but expecting a top performance in that circumstance is like expecting the player to be a machine. He has done great defensive work in the big games we won away from home this season so it's not the same kind of performance from him. The problem is even those big games we won with him playing you still give the full credit to Herrera only and discredit him so it's kinda a closed alley here. I'm not going to go around in circles with you as it's been clear to me for ages that he needs upgrading, but let me ask you this, what rating did you give Fred against PSG and Arsenal? He wasn't. He was far worse yesterday than his original form. Otherwise he has been pretty good for a good time now, prior to his injury. No actually that was the point I was making, on the ball he's been better under Ole, but his lack of mobility and speed has still be an issue, because it has and not just in this game. With no Ander to cover his ground we struggled in midfield for a good chunk yesterday, and they hardly had ground swallowing warriors in there. Very good against PSG and decent against Arsenal. Lots of running and intercepting with good positioning but hanged on the ball a bit longer than needed at some points and the decision making was a bit off in some other points. I'm not sure defensive wise he was far from what Herrera does. Fair enough mate, I was just curious given you've dogged Fred even harder than I have and I gave him good marks in both games. I have no issue praising a player I think he should be off or has been shite whenever he plays well. Same for Shaw and Lukaku too. It makes my opinion more reasonable and easier for people to accept I believe. I wouldn't disagree with that, I think sometimes though people have to have it all one way or the other, it's possible to be both critical and praise a player for the same performance, Lukaku being a prime example, his all roiund play in the 3 prior games was suspect but his finishing excellent, yesterday his all round game was decent but his finishing was off, it's not always an either/or when rating a players performance IMO. Well looks like we ended up agreeing on something here. We can take that as a win then. I appreciate that he’s normally in the starting eleven, but I said the second I saw the team sheets - he shouldn’t have started yesterday. It was a big game, he just came back from injury and McTominay had held his own in both Liverpool and PSG games. I agree there was no need to rush him back. It cost us too as I thought he was one of the worst players on the pitch. I do think that we need to bring in another box to box midfielder who can move the ball quicker between the backline and forwards. We always seem to have a hole in the middle against the bigger teams. Agreed. Well, maybe not a b2b per se but we do need a more mobile DM. Ndombele would be perfect for us. Sadly I have a feeling he'll go to City. Matic gets overrun too often. Ndombele is a good shout. Pelegrini is another I like. City are looking at another guy now an Argentinian called Asca.... or something like that. I have never heard of him to be honest, but he is getting great reviews. Santiago Ascacibar. The Stuttgart star has been one of the only positives of their otherwise terrible season and he would be a perfect replacement for Fernandinho. The 22-year-old is a lot like Fernandinho. A destructive force in the midfield, few players in the Bundesliga have managed to get past Ascacibar. However, that’s not all he is and like Fernandinho, the Argentine is also attack-minded and uses his tactical intelligence to help move the ball forward very effectively. That combined with his stamina, work rate and eye for a pass makes him perfect for Guardiola’s system. There is room for improvement but like many others, that will only happen under the right manager. Pep Guardiola would be the perfect manager to help the Stuttgart man move forward. The former Barcelona boss has worked wonders with a lot of players over his rather successful career. 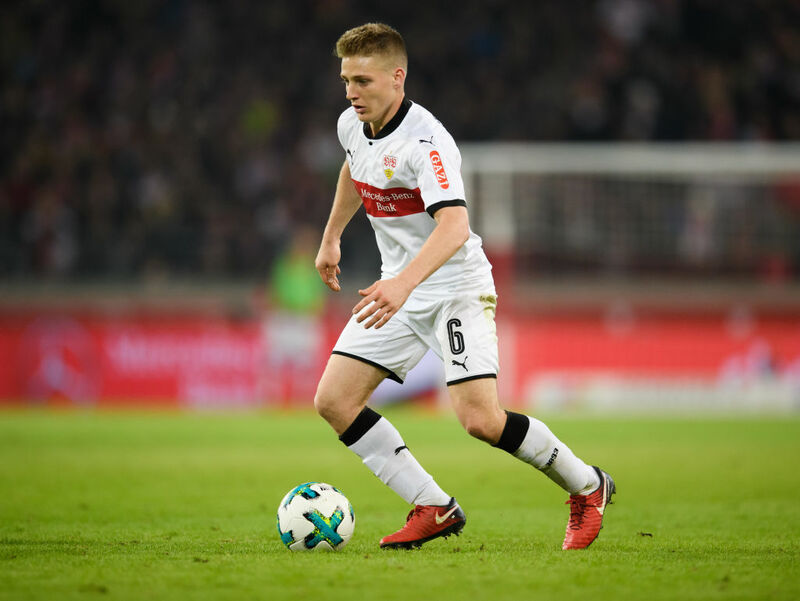 Given VFB Stuttgart’s current situation, there should be quite a few clubs who will come after Santiago Ascacibar if the Bundesliga side does get relegated. While there are no reports linking the player to man city, the 22-year-old’s talent is undeniable and would be very useful to more than a few clubs around the world. Matic and Herrera should really not be starting next season. very exposed. he got asked to open up and dictate our tempo with wolves sitting back and all he did was fire balls into people or underhit . no consistency. How in the F%^$ can a player playing at the top level for years miss moth^%^$£ place so many easy passes. Absolutely pathetic performance. Sideways sideways sideways sideways, one forward ball, where strikers loose the ball with ease than again sideways sideways sideways . Personally I think Mctominay should play over him, he has more energy, imposes himself more and has shown recently he can play passes too. Matic,Herrera and Pogba were all equally awful tonight. Give all three a 4 out of 10. Better performance than Herrera yet still rubbish. He’s been crap since he came back, I’d play mctominay against Watford. Someone mentioned it the other day but he needs to realize his limitations instead of thinking he's Pirlo one minute and Redondo the next, the amount of pointless runs to nowhere with no pass at the end are not what he's on there for, he's supposed to doing Carrick's old job of protecting the back 4 and feeding passes, he failed at all of his tasks today. Rubbish all season. Jose's player,he clearly loved him. The decision to bring him back into the team was wrong and has been a not insignificant factor in these two bad results. I could understand it if the players who filled in for him had done badly but McTominay actually played better against Liverpool and PSG than Matic would have. Maybe the senior player could learn from the younger one in that sometimes moving faster than a slow jog can help in a football match. Why he has come straight back in for McTominay, I dont know. Dont get me wrong, he's been good overall under Ole but he shouldnt have walked back into the team. He's not been great in the last two games either which doesnt help. I agree. I don't get the point of instantly dropping a well performing Scott for a player just returning from injury as Matic. Doesn't make sense. Scott wasn't bad at all to be thrown on the bench immediately like that. Matic after injury, we all watched that movie before. Similar thing was raised early in this thread, got told it has something to do with loyalty and was clueless to understand that. I am sure if we had all our midfield fit for psg game we wouldn't have turned that game in our favour and would have conceded more goals that night. Matic and Herrera are both squad players. Neither would get close to starting for a top 6 team in europe and shouldn't for us either. Terrible passing and possession aside, I think he did fine. Can't fault his effort, tried hard. Clearly still lack that sharpness + match fitness, but then he's not the one that pick the team. Like I said in the match thread, I don't think he is good enough on the whole to be starting for us if we're to take a step up from only being a top 4 team. I agree that his offensive game is a problem but his defence is not as bad as people make out. The issue with rating his performances is that what he does well is intangible, which is his positional awareness. That is a very important trait for a holding type of DM. Because of this, fans are mostly looking at the amount of tackles and mobility/running when rating a DM. Experience is also very useful for that position. Those two are probably the biggest reason why Matic plays. Now you mentioned Herrera as someone you would play at the base. He is probably the opposite of what Matic is when it comes to positioning. At least that's how it comes of when he plays his current position. 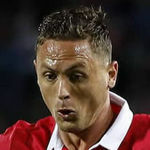 I haven't seen him at DM enough to tell how his discipline and positioning would be, but right now, the way he is constantly running around chasing the ball, that's a completely different role to what Matic is asked to do. I'm not confident at all that he is capable of that. Mctominay is too young to take on that role yet. He needs to be eased in and play behind someone more experienced. The reason Herrera gets the credit is because what he does is a lot more tangible than what Matic does. He runs around harrying players all the time and making tackles. While Matic is not as mobile, he is mostly in the right position in order to shield the defence. Mobility is not one of the more important traits for a holding mid, positioning is though. It's kind of similar to a CB even, because you have to be aligned with the CB's most of the time. I think Maldini said something like, If I have to make a tackle, I have already made a mistake. A holding mid can steer the ball towards the flanks by being in the right position in front of the defence for example. That's something that doesn't show up in the stats.